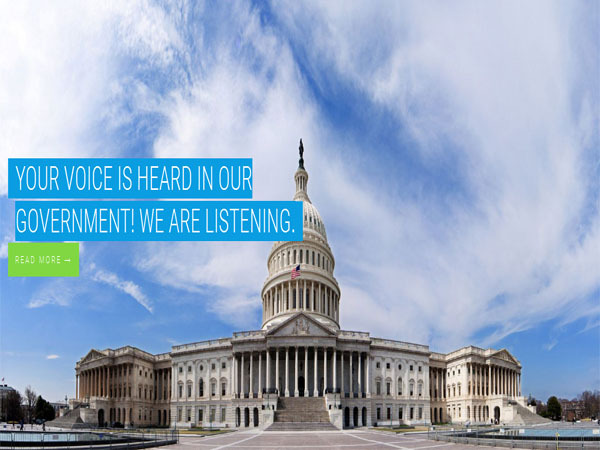 Here is the best round up of Political WordPress Themes. Political campaigns are expensive and difficult. But internet is the easiest way to deliver your point of view. All these themes are totally responsive and bundled with advance most powerful features. These theme is an ideal choice to build the Consulting websites easily. These stunning WordPress themes give your page its own unique look and layout, a canvas of creativity. 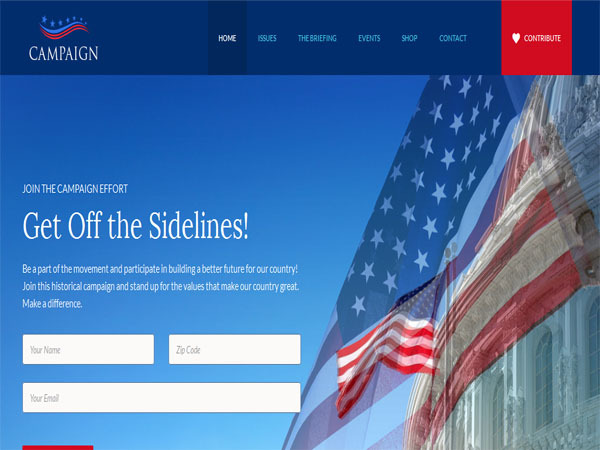 FrontRunner is a creatively designed WordPress theme for organization, super PAC, political campaign, political party and candidate. It has amazing responsive and SEO optimized WP theme design. This theme gives you YouTube integration and Landing page templates and Newsletter sign up. Parlament is a clean and elegant WordPress theme. Theme is fully responsive and retina ready. This theme gives you unlimited color options and 6 widget areas. This theme comes with powerful page builder and post formats and lightbox. Theme is Compatible with the aqua page builder by syamil MJ and WP-pageNavi plugin and contact form 7 plugin. Theme gives you beautiful CSS3 animations & transitions and easy to use and intuitive. 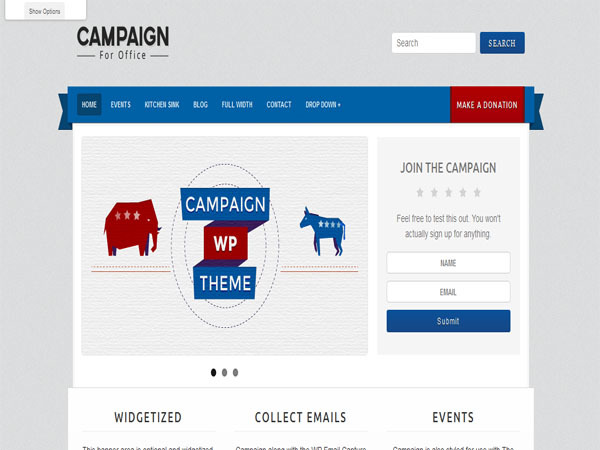 Campaign is a impressive and creative WordPress theme. Theme has 2 body styles, boxed and full width and 4 color schemes: Blue, Red, Green, and yellow and 6 background pattern options. Theme has beautiful social media icons. 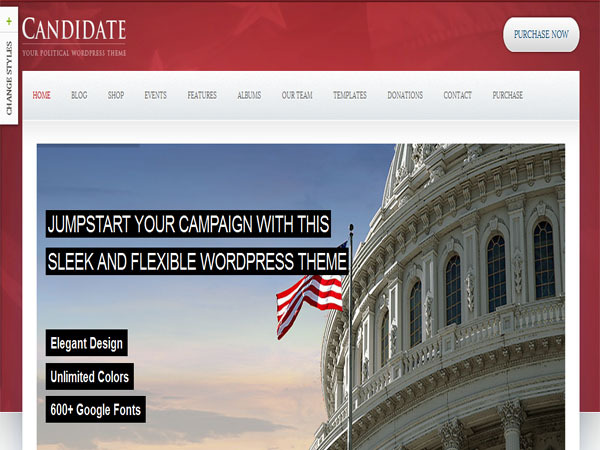 Candidate is a well-designed political WordPress theme. This is 100% responsive WordPress theme made with Bootstrap 3 and gives you powerful admin options. Theme has unlimited color options and predefined or custom backgrounds and 5 header options. Theme has more than 300 possible home page layouts and 4 home page slider positions and 4 hover effects. This theme is WooCommerce ready and the events calendar ready and seamless donations plugin ready. 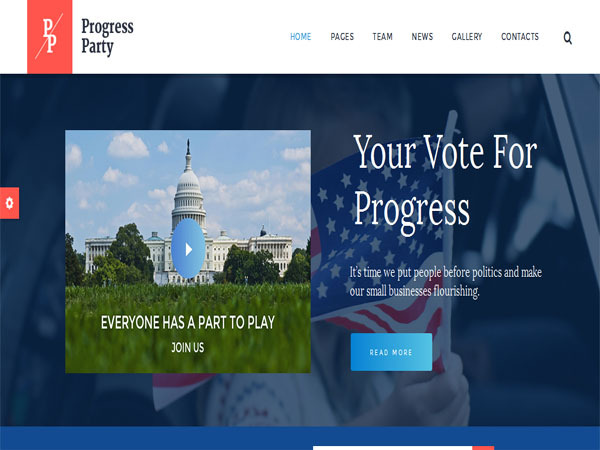 ProParty is a impressive and attractive WordPress theme. This is truly flexible responsive WordPress theme design built with HTML5 and CSS3. Theme is impressive slider presentation and optimized for speed and performance. Theme gives you slider options and navigation options and themeRex framework. This WordPress gives you plugins compatibility and custom widgets set and custom shortcodes. 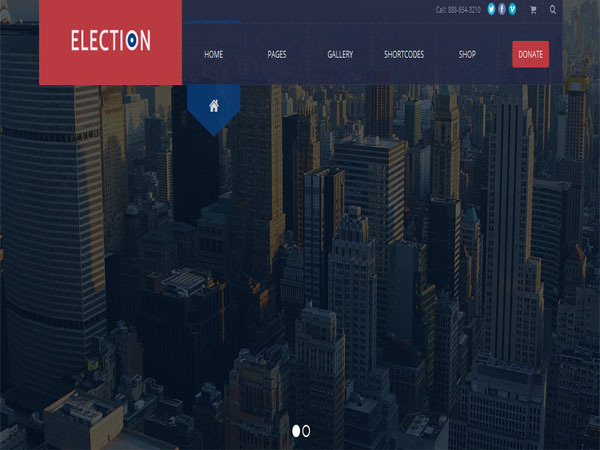 Election is a professionally designed political WordPress theme. 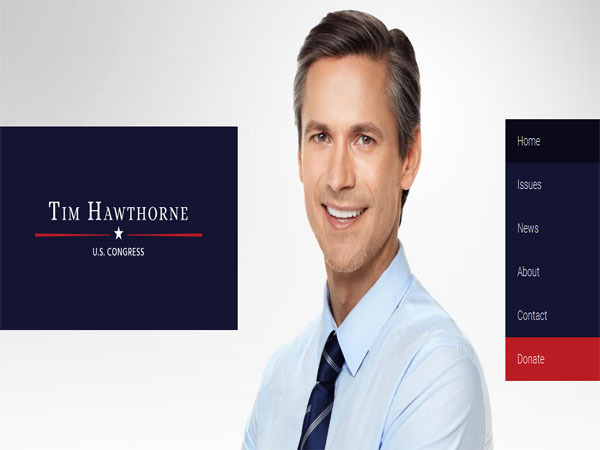 Election is a fully responsive theme, it will look great on the smallest smartphone as well as the biggest desktop monitor. Theme is fully compatible with WooCommerce shop plugin. Theme has unlimited galleries and unlimited sidebars and child theme support and sticky top navigation. Theme comes with custom shortcodes with shortcodes generator and 600+ Google fonts and 435+ retina ready font awesome icons. Theme has 4 custom menu locations with drag and drop menu manager and custom page templates. 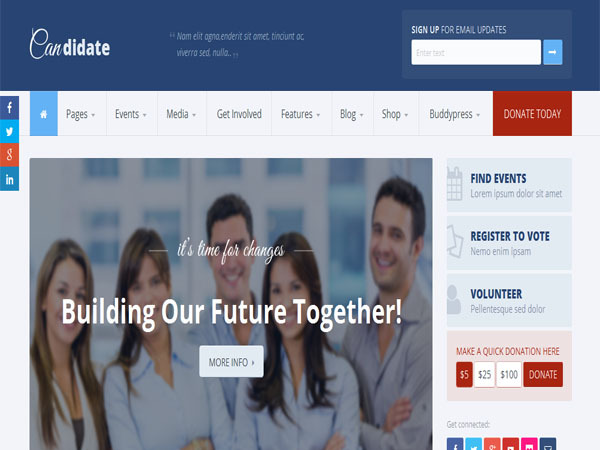 Campaign is a modern and clean WordPress theme design. Theme has unlimited page layouts, powerful admin options and user friendly page builder and 4 different 404 page layouts and WooCommerce ready. Theme comes with The events calendar ready and seamless donations ready and the Newsletter ready. This WordPress theme gives you unlimited colors and 600+ Google fonts and translation ready. 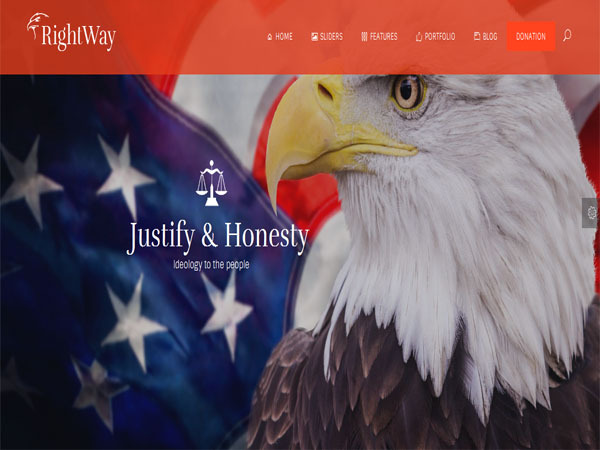 RIght Way is a modern and creative WordPress theme built with HTML5 and CSS3. Theme comes with 4 styles for blog post and 40+ awesome hover effects. This theme has parallax and video background and advanced user login panel and custom menu with 4 customizable sections. 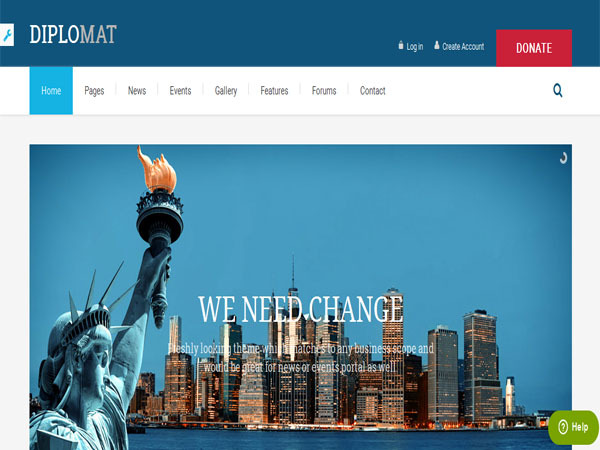 Diplomat is a attractive and impressive WordPress theme. Diplomat theme has 4 preinstalled different home page layouts and 4 different gallery/albums page layouts and theme includes event plugin. Theme comes with 5 different news post layouts and custom page options per page individually and 15 custom widgets. This theme comes with unlimited slider groups and unlimited sidebars and SEO tools module inside and Google fonts api. It has 16 layered PSD’s are included for easy modification and customisation and localization ready. Candidate is a unique and creative WordPress theme. Theme has boxed and wide versions and 3 variants of homepage and sticky menu and 3-level drop-down menu. Theme gives you 2 different sliders: revolution and flex sliders and unlimited sidebars and 2 blog styles. Theme gives you typography and columns pages and touch enabled option for product carousels and sliders and universe finder, WooCommerce crowdfunding system. Theme comes with 13 gallery types and 3 portfolio post types and 6 blog post types and 10 custom widgets.